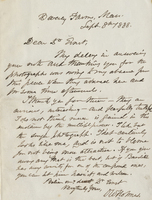 Contains original outgoing letters of Holmes to various individuals, some identified. Subjects pertain to poetry, family matters, social activities, letters of recommendation, etc. 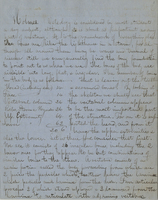 Other papers include lectures on anatomy for Harvard Medical School courses; various lectures on medical topics by others; and last stanza of poem "The Chambered Nautilus" by Holmes.